Welcome to my 2nd grade classroom! 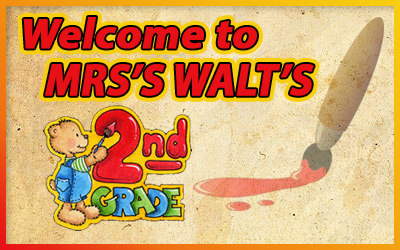 Hi, my name is Mrs. Walt and I am a second grade teacher at Barth Elementary. I have been teaching with the district since 1997. I have taught 7th grade, 6th grade, 5th grade, Kindergarten and 2nd grade. I love teaching and I love Barth! !